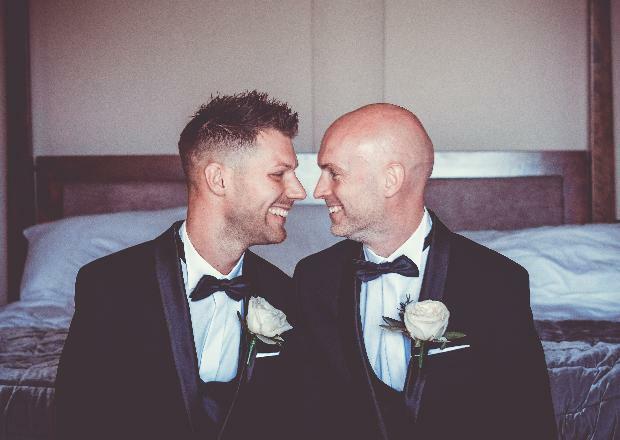 Chris and Shane created a magical backdrop for their big day. 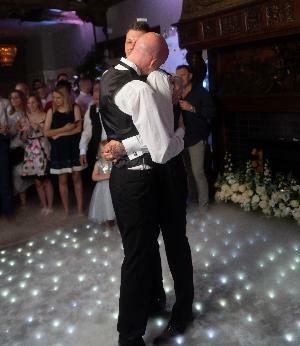 Christopher Skinner, 37, married Shane Maple, 32, at Laura Ashley Hotel, The Manor Elstree on 30th June, 2018. We went very traditional and each wore a black tuxedo. We never wear suits with our jobs, so it was amazing to get dressed up. 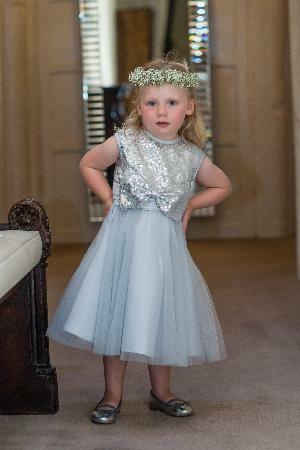 We asked our niece Lily May to be our flowergirl – our little princess. She's only three so she ran down the aisle as quick as she could – we could hear the guests laughing. 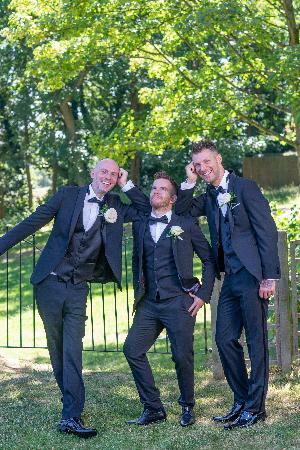 Our joint best friend Matt was best man. It was great to be able to have him involved. 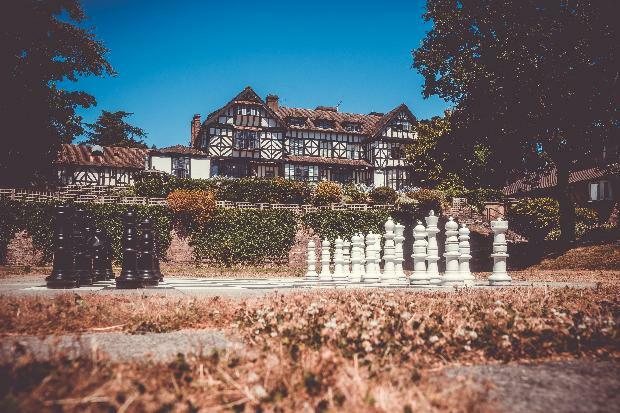 We love Laura Ashley The Manor. 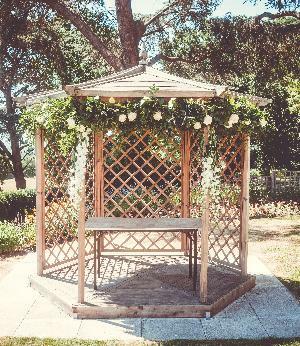 It's so traditional and intimate with the most amazing gardens and views of the London skyline. We had blooms everywhere. Shane had it all planned to perfection – I just stood back and watched the magic happen. 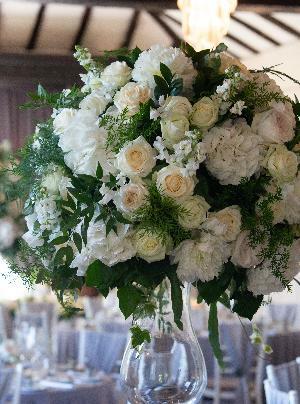 For our centrepieces we had tall vases with a sphere of foliage and flowers with more blooms around the base in silver mint julep cups and candles. They were stunning. 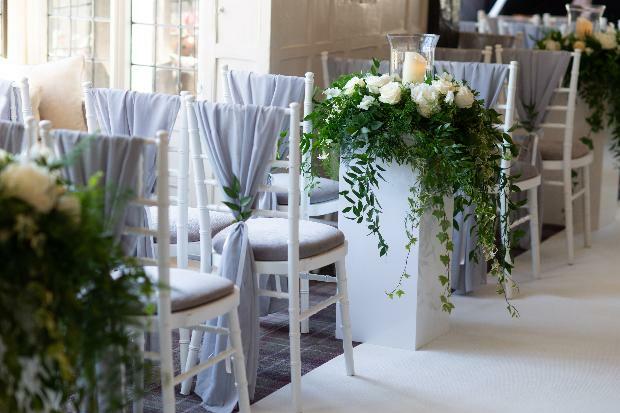 The aisle was lined with pillars adorned with church candles surrounded by gorgeous foliage. 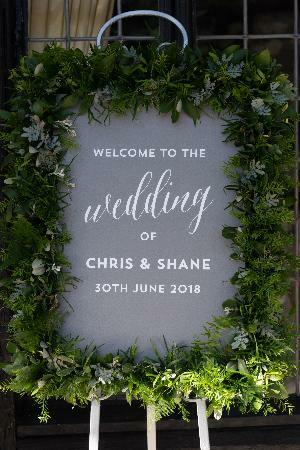 Our table plan and welcome sign were really stylish and surrounded by foliage to suit the look of the day. 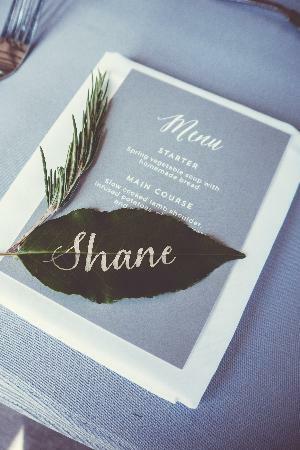 For our place settings, we wrote guests' names on leaves placed on chic grey menus alongside a spring of rosemary. 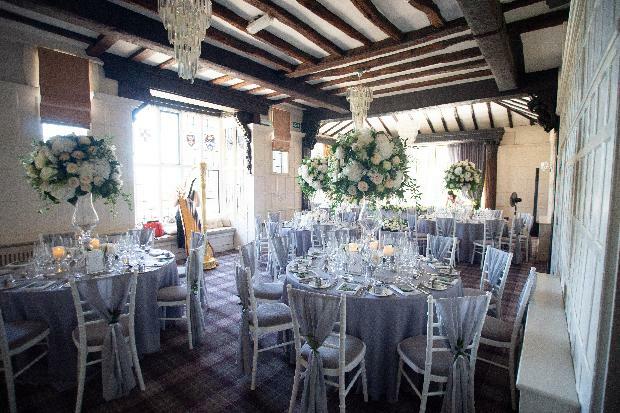 We changed all the linen to grey instead of white and hired in chiavari chairs. It really turned the room around. 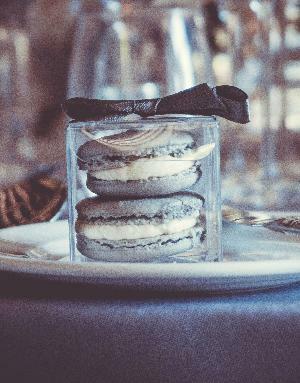 For our favours we treated our guests to macarons. They were grey to suit our colour theme with a little bow on the top. 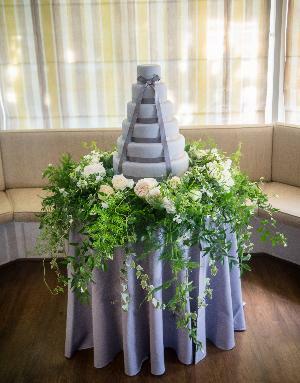 Our six-tier cake looked and tasted amazing. We had three flavours and our guests got through a lot of it on the night. We still have some fruit cake at home, it's really good. 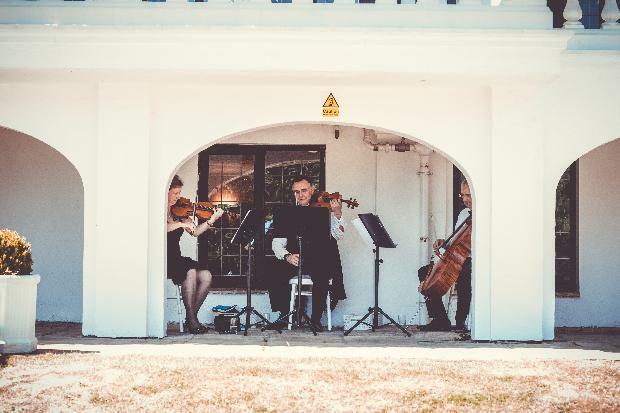 We had a wonderful string trio for the ceremony and arrival drinks and then a harpist for the wedding breakfast. It worked really well with the venue. 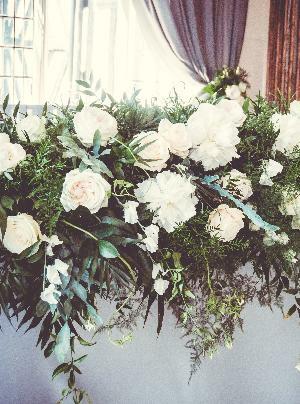 The teams at Maples Flowers and Dress It Yourself worked hard to make sure the styling was perfect for us. The dancefloor sparkled with twinkly lights in the evening and we opted for dry ice and confetti cannons for our first dance. It looked magical.